MeisterTask is a beautifully designed and highly intuitive task manager that perfectly adapts to your team's workflow. Using smart automations and integrations the free online tool ensures that you work more efficiently and consistently. "Managing task and projects efficiently and in easy way with MeisterTask." This software enables us to stay on top of every projects undertaken thus more reliable and useful.What I like most about it is the users interface design that is very colourful,eyes appealing and intuitive thus finding it more easy to use it.This software gets my teams more organized than before when carrying out projects and tasks thus getting more focused and yield productive results.Team member also engage well wherever they are when working on projects.Assigning tasks and managing projects to my team is more simple with MeisterTask thus easy to track and follow-up projects progress. Ever since I started using this software it has become soo easy to manage projects thus getting more done and I haven't found anything as a dislike so far. It's the best solution of managing projects and automating workflows faster hence more recommendable. Team collaboration is great with MeisterTask. Through the use of MeisterTask automating workflows becomes very fast yielding us more productivity. "A complete collaboration tool for many types of projects"
First and foremost, the dashboard and overall interface has a crisp design that's easy to navigate. There are distinct and colorful sections and panels that really stand out and help me to quickly identify projects, tasks and sub items. MeisterTask has dynamic Kanban boards, calendars and other highly visual tools that allow us to stay organized and flexible. We can easily change task details and give status updates that reach everyone in real time. MeisterTask can be integrated with other office and productivity tools we use like Google Drive and Slack. There are some usability issues that we dealt with at the beginning that took some time to get used to. There are many panels to deal with, which can be overwhelming and confusing at first. Using MeisterTask via the mobile app isn't as intuitive as the browser-based version. We can't use the browser-based version without an internet connection. MeisterTask is a very complete collaboration tool that I would strong recommend to work groups and anyone that wants to improve their planning and organizational capabilities. I think the pricing is reasonable and can give your company a substantial return on investment. Our team uses MeisterTask to assign and stay on top of project tasks. It has really helped to streamline planning activities and serve as a hub for status updates and communication. We can smoothly add files through our computer or online storage accounts, which simplifies the logistics of file sharing. I personally have met deadlines more often and generally have less stress and confusion by using on MeisterTask. I love how easy it is to organize and keep track of projects with Meistertask. It is beautiful visually, which really helps. I appreciate the collaboration part of it - it's easy to keep track of my intern's work and see her progress on projects. Sometimes it seems like you have to click a lot of buttons to get to a feature you want - like archive, or add notes. There's more than one way to get to certain features, and maybe it'd be easier if they were all accessible the same way. This allows me to view all of my projects in one glance, which really helps me understand what my work load is like at any given time. I also like that I can add notes here and there, that i can refer back to when I'm ready to tackle the project. "Projectsand products management at breeze with MeisterTask." This software has proven to be the best in automating and managing workflows faster. Team members collaborate well by sharing their to-do lists and tasks together thus yielding high productivity. Task and projects tracking is easy thus we can know the status of progress effectively. Assigning tasks and projects and managing them is no longeer an issue with MeisterTask. This software also sync seamlessly across all devices we uses in our organization thus keeping teams together anytime. Haven't found any negative vibe as this software is very crucial in achieving all our organization needs through customizing it. Management of tasks and projects is at breeze with MeisterTask now. "Finally a task management system that makes sense"
I immediately loved how it has pre-built lists for "Open", "In Progress" & "Done". It's exactly how I would label other lists in alternative task managers. My favorite thing about MeisterTask is the UI/UX. It's absolutely beautiful, intuitive and simple to use. Great background imagery, and the daily quotes are a clever little addition too. I wish that when I created a task card it would auto-assign it to me. It would be okay if this was a setting I had to toggle to activate but it gets very tedious when I need to assign several cards at once. I also would love to be able to filter due tasks with a pop out calendar. It's great for both individual and team-based project management. I use it daily for my consulting business to keep track of upcoming deadlines, and just to dump ideas to review later when I'm not so busy. It's free to use up until a certain level so there's no much to lose! I run my own marketing consultancy so I have a few clients and my own business tasks to track. MeisterTask allows me to set up boards by client, and share boards individually, either with clients or other people I contract to help me. All the other boards are kept private for my own use. "Really good alternative for Trello"
"best collaboration and management tool"
"A great task management tool!" I like that it has the timer feature to track how much time I spend on projects. Sometimes the timer has been buggy. I also wish there an easier way to break down tasks into even smaller categories, and then also view those smaller broken down tasks more easily, since those are typically the tasks that will actually get checked off throughout the day. Having small things to check off would help to feel more productive. I should not I don't use the default columns "open", "in progress", and "done". I find I need to categorize my tasks so I use those columns for that. It takes a bit of experimentation to find an organization system that suits your personal flow. Try it with and without the default project categories of "open", "in progress", and "done". It helps break tasks down into categories, and easily assign them to others. There is also room for commenting, which helps with collaborations. MeisterTask allows the project to include the best practices of a kanban style task manager. It is a Management system with automation and delegation across integrations. Many items such as Categories and people, once set up in one project are not transferable as a template to the other projects and must be input manually. Importing and exporting these would save setup time. A simple example would be to have a Project template for Agile Methodology with Scrum/Sprint selections that sets effort, duration and estimates as task goals. A Fast way to get projects under control and integrate with the best tools for automation. Having a single list of my organizations tasks with due dates and responsibilities gives oversight and the ability to set and adapt priorities. "Excellent Task Manager For Projects"
The ability to customize each project and each category within the project. I can add sections in each category, if I want an Idea section I can add it, color code it and much more. This gives you the ability to make Meistertask anything you want it to be, and make it work for your needs. The Free features are all you need for basic needs, but the Pro features are also a nice add-on for advanced workers. On the Free version, you are only allowed to use 2 plug-ins in each project. So you would be limited to Slack & GitHub and not be able to add Office 365 or another plug-in that the software offers. The lack of wallpapers for the dashboard is the other problem, Pro users can use their own backgrounds but Free Users are limited to solid colors or a mix of all backgrounds. Try the software as a Free User to see if it fits your needs, then upgrade to Pro later if you need the more features. The free version seems to have most needs covered. Customize every project to your tailored needs. For my business, I have a set-up of LocalHost, App & Main Website. From each Project I am able to create an Idea section, Working On section, Complete section and others. This helps us take tasks from the very beginning to the end, get feedback from our staff on each stage of the progress as well. It makes running our projects more reliable and quicker from start to finish. When looking for a free solution to our project management woes, we ran across Meistertask. We collaborate with a contracted grant writer who regularly needs information, documents, etc on top of the need to manage more than 50 grants effectively. This tool has been great for us, easy to use and of course... free! It would be great to be able to sort tasks by date due. Currently that function is not available, but it is not too hard to organize them. If this was added, I would say there would be very little to criticize about Meistertask. We are solving project management issues when not all team members see each other frequently. It's great to all be able to be on the same page! We use it for our contracted staff to keep in touch with our on-site salaried staff... it works like a charm! "A visually appealing project management tool"
MeisterTask is visually appealing. I can invite an unlimited amount of members to join a project. I like that I can add checklists and due dates to each card on a project, similar to Trello. I was hoping that MeisterTask would provide various ways to review a project because it is so visually appealing. It would be nice to see an overview of tasks for a project in a calendar mode, for example, or to see all tasks that belonged to a certain "tag" or category. Users who don't want to be limited to a kanban system may want to look elsewhere. I recommend properly exploring your options. You won't know what features MeisterTask has available if you don't take the time to find out what works best for you and your team. MeisterTask has helped me organize my projects and break them up into easy-to-manage tasks. I am better able to see the big picture and how to get there. I can keep checklists, notes to myself, and assignments all in one place. "The most suitable task and project management software that any organization need to have." This software allows team members to organize and manage tasks and projects of any size and type. Time tracking against tasks and projects is easy. Has a reminder feature that keeps us up-to-date thus focusing more on projects progress. Teams member collaborates easily with this software thus communication in real-time about projects and tasks. The possibility of commenting and liking a task is another thing I like. I have no negative vibe concerning this software because its very reliable and useful hence worth using and recommending. This software is our go-to solution for project management thus worth giving a trial. Makes project management simple than before. Product management is made great. Timely reporting about projects progress. "Use it every day-robust but not too complicated"
I like how the free tier has lots of very useful options: multiple projects. It can handle fairly complicated projects with lots of cards. I'm a freelancer, so I just need to keep all my business projects straight and don't need to collaborate. Perfect for this purpose. I wish that it accommodated code a little better as I have many cards that have different code snippets and there isn't a native way that I've found to keep those straight. So for using much code organization, you'd be better off with a tool like bitbucket's code snippets. I still find myself storing little bits of code in Meistertask when it's something directly related to a specific item in a specific project. Try it out. It has a great free tier so you can put it to work. I tried it out and haven't looked back cause it's always doing what I need. I use it every day to keep 20+ different projects and clients straight each one of those projects having multiple columns of tasks. It's great. I archive when done so finished projects aren't clogging up the display but there's a global search so I can access past projects if/when needed. "Great clean visual kanban style task manager "
The clean and modern visual design. The ease of use. The fact it has various versions of a desktop app, mobile apps, web with chrome extension makes it easy to edit info on the go. Really good free version, a fair pricing structure in general for what you get. would be nice to have a timeline view of the tasks that are either to do or pending. Click on a timeline icon in the right corner and a drop down timeline would appear above the kanban tasks (or substitutes the kanban tasks into a timeline view, so you can see the due dates clearly of each task). Something like teamweek.com. Or a more inelegant (manual) solution but perhaps more feasible in the short term would be an integration with teamweek so you could import meistertask cards for a timeline view. If you are looking for a simple but still has a lot of useful features that you will actually use, meistertask is a good option to check out. day to day tasks of my startup. centralize communication between freelancers and my small team. "The Sexier Sister of Trello"
The look and feel of this software is outstanding! Lack of native calender view like that of the Calendar power up on Trello and you can’t configure an end time on due dates. They are improving all the time and the team are open to development requests. Talk to them about your thoughts and feedback to make it even better! Managing my business on a daily basis as I have got busier has been getting increasingly difficult. MeisterTask has helped me to keep up with both daily tasks and projects with a beautiful UI which is a joy to use. "Easy and visual kanban easy to work with and a superb price"
The flexibility and User interface. Its email updates are easy to follow up with. Lack of integration with major CRM's or contact management systems that could help in using it as a sales funnel for example. It would be fun to use it like that. If your team is small you can try the free version first which is powerful enough for a project in its initial phases. Follow up on admin and project initiatives with several of my colleagues. The ability to drag and drop tasks from Open to In Progress to Completed. You also have the ability to create your own categories and can move them back and forth accordingly. Also having multiple projects created at one time is fantastic. Having daily emails reminding me of deadlines, and the integrations available to connect to slack and such are seamless. It gets cumbersome to assign myself the task every time I create a task in one of my projects. Not only is it fantastic for personal task management, it's fantastic for team task management, and project management with teammates who work remotely. "Amazing app, changed our team working habits"
Could have more integration. Could do a gant chart view. "Nice way to organize projects, big and small." Automations, they make it so easy to auto label or assign things in a column. Not enough of our company uses it. so there is a push to use trello instead. Very clean and simple to use interface. Definately one of those best in breed style tools. the tough part is that is likely outside the exisiting stack of your business, and most platforms have their own flavor of task/project management features. This help provide a kan ban flow for our work. "Easy Platform for time managment"
I love that you can assign tasks to different employees and track time for each task all in the same system. It is very user friendly and easy to use for multiple tasks and jobs. I wish the time tracking could flow over to other platforms as well as stay in meistertask to use for payroll reporting continuity. Look into time tracking for assignments to make sure it will flow with what you need to track. Task assignment to employees as well as time management. It is hard to narrow it down - I suppose my favorite thing is ease of use. You can easily drag items based on status or sub-project. It also has a social media-like interface with tagging, commenting, and hashtags, as well as breaking up by project. You can get email notifications to make sure you never miss a step. I wish the dashboard was better at knowing what I need to get done that day - for example if I could go through my tasks and pin them to a calendar so each day I know my To Do. Plan out your projects ahead of time, and have draft pages before collaborating with others. Before we had problems breaking up large tasks into manageable steps, and accountability. MT has solved all of these. Intuitive, smooth. Each project you set is customizable, and you can move tasks within the various projects you create. Archiving is handy for when you need to retrieve an old or completed task. Assiging tasks in easy, system doesn't get in the way of what you're trying to do. It doesn't fill up my screen, either, which I appreciate. No ads, simple and straightforward. Helps me keep track of my work. The number of integrations available; it doesn't cover your basics, like Microsoft apps. Try it out, it'd be worth your time if you are willing to give it time. It's my task manager. I use it to keep track of my work, and meet deadlines. I found MeisterTask whole looking for accessible project management software for our upcoming office move. It’s simple, fairly intuitive, and with the free version, all managers have the ability to add, delete, and modify tasks. Although it’s *fairly* intuitive, there are some things that could be improved. I would like to be able to make a sub list for multiple step tasks that are grouped with other like tasks. The ability to check off without crossing off. We needed an inexpensive, simple solution to organize tasks associated with moving a business with internal resources. 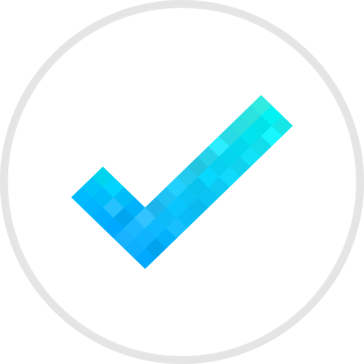 "Best in class task management platform"
I liked this as a whole package but assigning task is the feature i was trying to find in many apps but i didn't find in any, so MeisterTask is one stop solution for my needs. I have been using this from a long time and i haven't find anything to dislike yet. I would highly recommend this to everyone out there with unorganized works and tasks, you must try this. We are managing tasks, assigning tasks so that everyone on team gets to know what he has to do, plus you can assign it with a time limit, so that the person you assigned any task can know what amount of time they have to complete it. "Best planner and work streamliner"
I liked the assigning and time allotting thing in this, and the notification structure is very nice. it always gives you an update when anything changes at task. And the things Meistertask is giving at free, most companies asking loads of money for that. I have been using this for about two months, I have not disliked it for now. I may haven't used every feature of this platform, but yeah I didn't disliked anything. I would highly recommend this product to anyone who need their work to be streamlined or managed. planning, task management, and streamlining works. I really appreciate what meistertask is offering without even buying it, great work team ! "The best of them all"
meistertask is the leading project management tool in the market, I have been using it for the past year and it's just flawless. I wish I had another way of rephrasing these words. 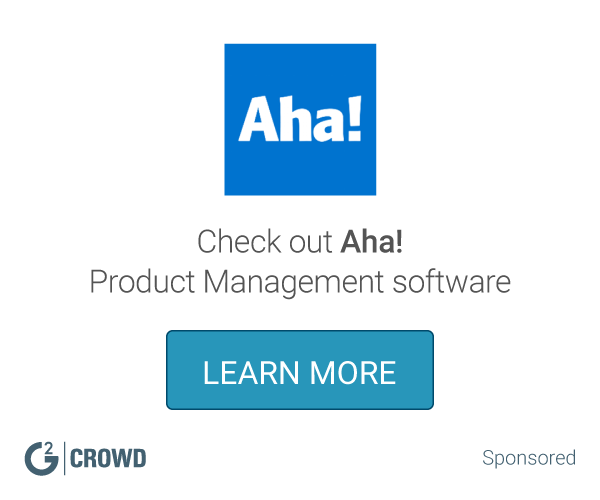 "one of the best project mgmt apps around"
I wish there were more integrations to use. At minimum, try this program by accessing the free trial of the pro plan. Great way to organize projects, tasks and assignees - in a custom brand-centric format. "Perfect Task Manager for Small To Medium Sized Business (Especially in Validating Idea Stages)"
The ease of use on the platform, multiple integrations and the fact that its free and non limiting makes this a great Task Management tool that can rival trello. This program is perfect for small to medium sized teams who want to track multiple tasks and keep people updated in an easy to use interface, with attachments and other notes to make sure our productivity stays efficient. I loved that the software allowed me to make task goals for larger projects, assign these responsibilities to team members and track the progress of the larger projects. I dislike that the software does not show the task goals for larger projects on the main screen. I wish I was able to also track the progress of these smaller goals. Use the software among the whole team and use the feature that allows you to assign tasks to individual team members. MeisterTask has made our projects more organized and punctual because the team is clearly aware of all the projects that need completing and what exact steps are necessary in order to complete them. "MeisterTask is great for project management"
"MeisterTask helps organize my work life"
It is easy to use. The color coding, due date assignment, and subtask features really help manage workflow. I don’t really dislike anything about MeisterTask. I just wish I knew more about some of the features before I began using it. Easy to get started, but review all the features first. Then you will get more from the software. I use MeisterTask to organize checklists and manage agendas for tactical meetings. I like that you can assign tasks, and also assign a due date. I don't love the lay out/interface. It's hard to see everything all at once. We are solving collaboration problems. We used to have meetings with action points that would never get done. Now after a meeting, people are able to be followed up with and held accountable to complete their task. "Great for personal tasks and small projects"
Meistertask has a nice and clear design. It is easy and intuitive to use. I can use it on my computer or on my phone anytime and anywhere. This allows me to respond to changes, comments etc. very quickly. It helps to stay organised and is perfect for day to day operations. If you are offline, changes won't be saved. It is great for small projects, but if you have larger or more complex projects with a lot of staff, I would prefer a more complex tool. It is really great for personal tasks and small projects. I also use it for taking notes. "Project Managment and communcation all in one"
MeisterTask is the one stop shop for project management and daily operations. With new add on integration's and its already powerful setup its a one stop shop!! Removing users from projects is a little tedious but you can get it done. "Love love love this software"
I live in leister every day. It is my go to for my entire to do list, which is very well organized. The ability to customize project names, colors, icons, tags, etc really helps me bc I am more of a visual person. The integration with freshdesk is lacking a bit. They have some bugs but support is amazing and they usually get them corrected pretty quickly. "MeisterTask / Excellent task manager"
The integration with mindmeister, allowing me to assign and manage to-dos. I also like the interface a lot. I do wish they had a direct integration with google apps. Defniitely consider using mindmeister as well. Managing time and to - dos. Increased awareness of projects, deadlines, and specifics. Assigning task feature is pretty helpful, usage is easy. Also it has great performance in all devices. It is fine application for now, useful and easy using. Planning the project, especially in co-working. "cute design, easy to use, basic features"
It has pretty design and it's very easy to create projects, set deadlines, etc. "Great for tracking, not so much for planning"
I enjoy the versatility of being able to keep tabs and collaborate on projects using not just my Apple devices, but my Apple Watch as well. For some reason when I get notifications of updates in a conversation thread, I can never find the conversation I was notified of directly, instead I have to browse the notifications tab. occasionally I see weird hiccups like that that makes getting the latest updates on a project a bit cumbersome. Solving our project collaborative efforts as they pertain to managing social media campaigns. Easy to use. Intuitive. Appreciate the different sorting capabilities and deadline reminders. The software crashes about once per week in my experience on Google Chrome, so sometimes the tasks I add are not saved. * We monitor all MeisterTask reviews to prevent fraudulent reviews and keep review quality high. We do not post reviews by company employees or direct competitors. Validated reviews require the user to submit a screenshot of the product containing their user ID, in order to verify a user is an actual user of the product. Hi there! Are you looking to implement a solution like MeisterTask?